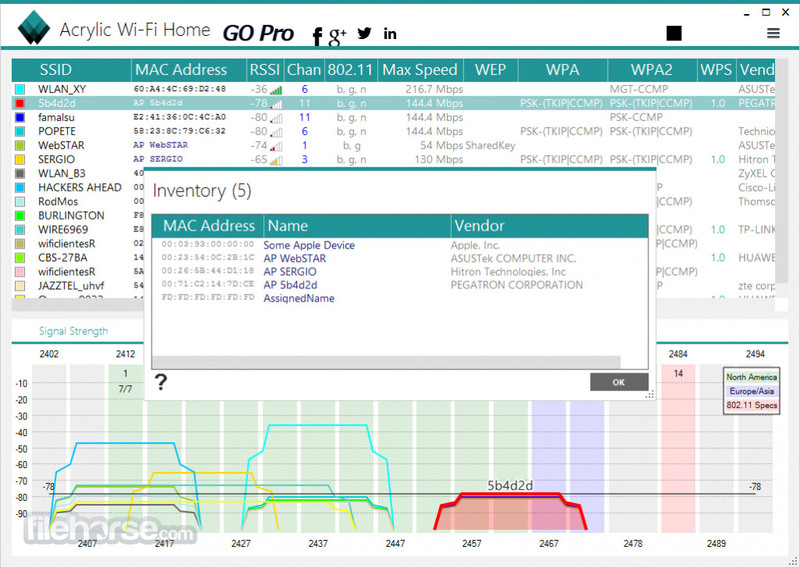 Acrylic WiFi is a Free WiFi scanner that displays WiFi access points and connected devices, shows information of the security mechanisms and obtains generic WiFi passwords thanks to a plugins system. This WiFi scanner is able to gather information from 802.11/a/b/g/n/ac networks. 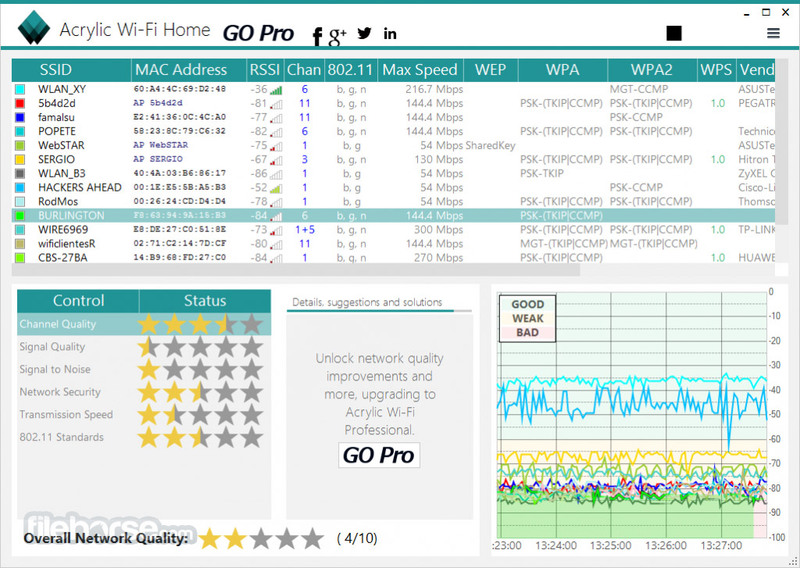 The most advanced WiFi Free Scanner within the market now available for Windows 10/8/7/Vista. Discover Acrylic WiFi unique features that you won’t see in any other wireless scanners nor networks analysis software. Detailed information for hidden WLAN networks. Get hidden networks SSID names with monitor mode capture. It works as a WLAN sniffer showing the captured network packets. Acrylic innovative driver automatically integrates with Wireshark, enabling wireshark to capture WLAN packets under windows. 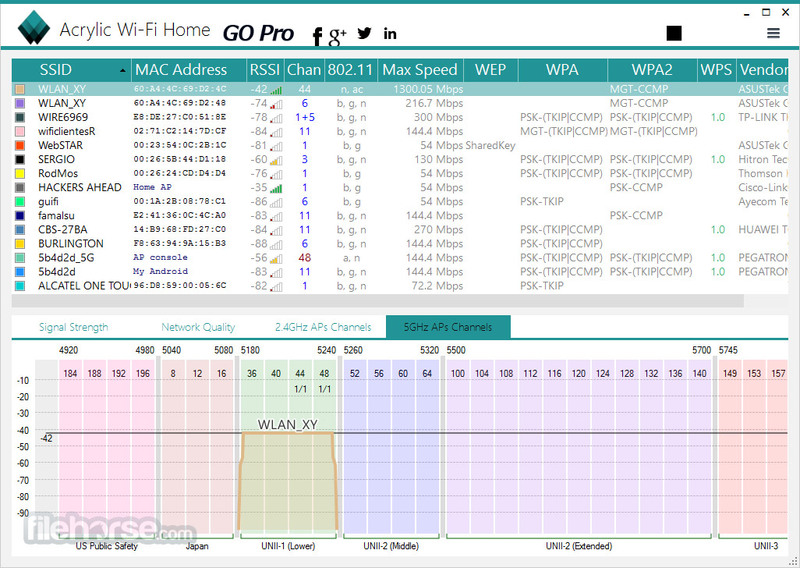 Access points: WiFi networks information (SSID/BSSID) and connected users. 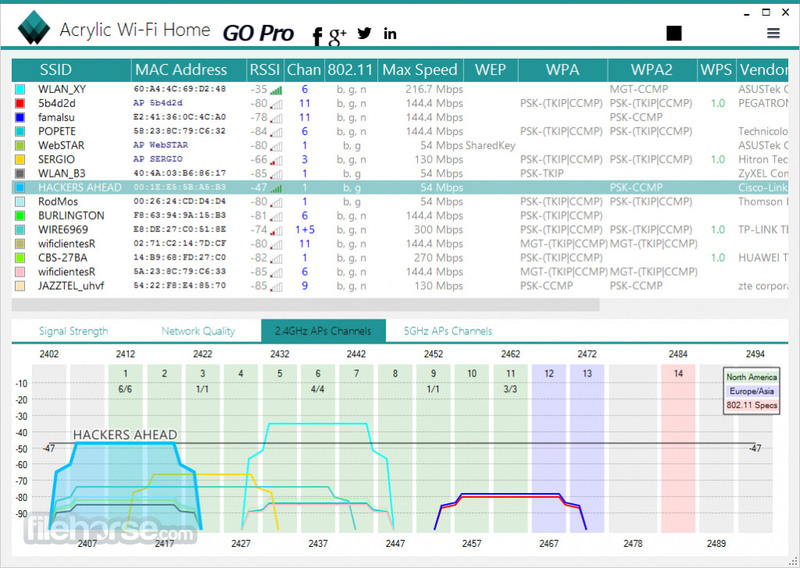 Signal level: Signal quality charts for WiFi channels and detected devices. Inventory: Naming known Wi-Fi devices. Passwords: WiFi passwords and default WPS Keys (password testing). 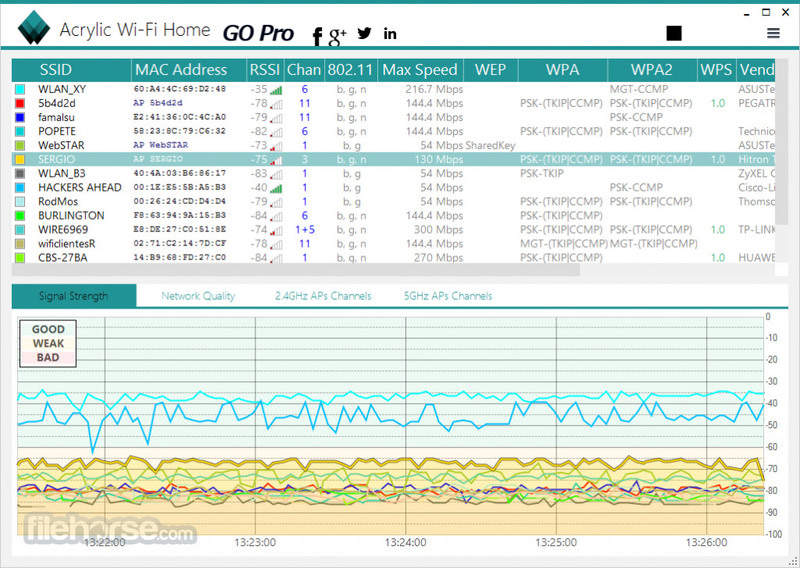 Channels: WiFi channel scanner and WiFi networks through channels in 2.4Ghz and 5Ghz. Security: Network authentication and security details for WEP, WPA, WPA2 and Enterprise (802.1X) WiFi networks. Hardware: No special hardware is required for its operation. For best results check out our monitor mode compatible hardware list.